Shake It Off…Spring is here! Yes! There’s no doubt about it now….Spring is here! And I don’t know one person that doesn’t love it! As Canadians it amazing how much that beautiful sunshine makes everything feel that much better. You’ve opened the windows and thrown up the sashes and…..Wow there are some serious dust bunnies under those chairs, beds and behind the doors. Trust us we know, that sunshine we love suddenly lets us see all our winter secrets! It’s ok! We got this covered. With Spring, comes the desire to get out from under the stuff and the confining feeling you’ve had for 5 months. It’s wonderful! The “honey-do” list gets started and it rolls on and on and on! We’ve got our own honeys and they have their own ” to do” lists. BUT…..there’s something to be said for getting it all done in a shorted span of time. Yes, we all go “clean up” crazy and everyone feeds off everyone else’s energy, but it soon peters out and then you’re left with a half finished list and a bunch of half finished jobs. Decide on a plan of action. 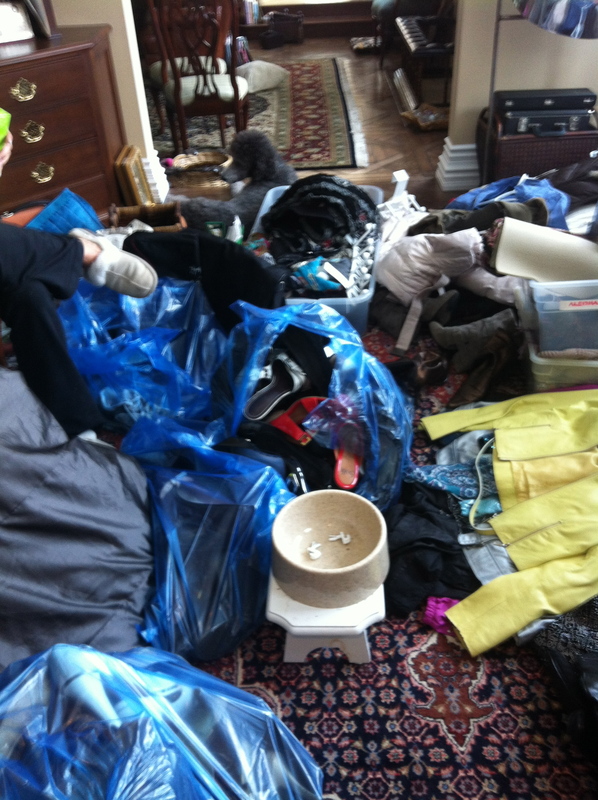 Garage sale days are coming up in Lucan and Ilderton – May 7th. So this weekend encourage the kids and your partner to grab a box or bag and fill it with things that have been hiding out of site for months maybe years! 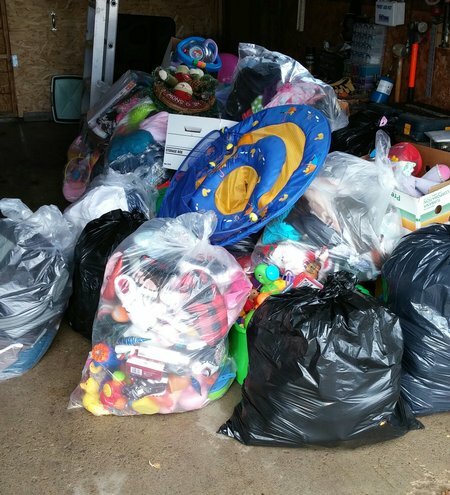 Get the kids excited about sending those clothes and toys off to someone who really needs it! A garage sale is a great family event and it helps the kids understand the value of things. They must be fully aware that if it goes out to the garage sale it DOES NOT come back in if it doesn’t sell. So 25 cents in their pocket is better then nothing! trust us, if you were willing to part with it at 7am by Labour Day you’ll have forgotten it even existed! That’s step one! Next time we’ll chat about that “honey do” list that has now created a rift the size of the Grand Canyon.